Walk Score has tweaked the way it serves up crime data, and now portrays crime rates rather than density, in the hopes of painting a more accurate picture of the true risk of becoming a victim in a particular neighborhood than websites that map only raw statistics. The neighborhood information site, which provides data to many real estate sites, is assigning “Crime Grades” from A to D for addresses in 16 cities that adjust for the number of residents and workers in an area. “Heat maps” tracking crime on the site’s listing and neighborhood pages are based on those grades, making Walk Score the only other consumer site besides NeighborhoodScout to display heat maps based on per capita crime rates rather than the density of crime. Trulia’s heat map of downtown Chicago makes the area look pretty dangerous, for example. But Walk Score’s map paints the opposite picture. 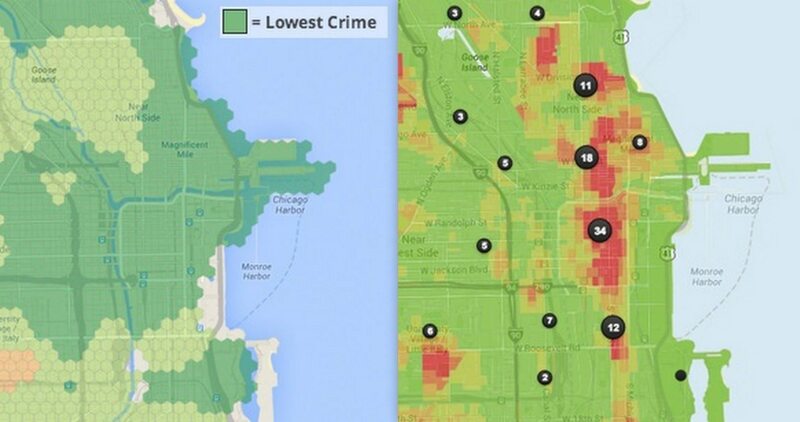 Trulia spokeswoman Daisy Kong said that, although it doesn’t adjust for population, Trulia presents a “very clear picture of a neighborhood’s safety.” The heat maps represent the incidence of violent crime, while black dots appearing over the maps show recent crimes, she noted. “We believe engaged house hunters care more about what’s actually happening in a neighborhood in regards to crime, not how likely they will be a victim of a crime given the population,” she said. Other websites that display crime maps that use markers to show incidents reported to police include CrimeReports.com and SpotCrime (the sources of Trulia’s crime data). Consumers who see clusters of crime markers on maps may believe those areas are more dangerous than places with fewer pins, regardless of whether that’s actually the case. Walk Score previously took the same approach, representing crime density on its heat maps instead of crime rates. Walk Score also previously attempted to convey crime risk in a bar chart that sat next to all its heat maps. That meant that the site made many areas with high Walk Scores appear unsafe. The changes that Walk Score has made to its crime maps allow it to avoid negatively portraying some areas that it would like to promote as walkable. Walk Score calculates its “Crime Grades” using a patent-pending methodology. 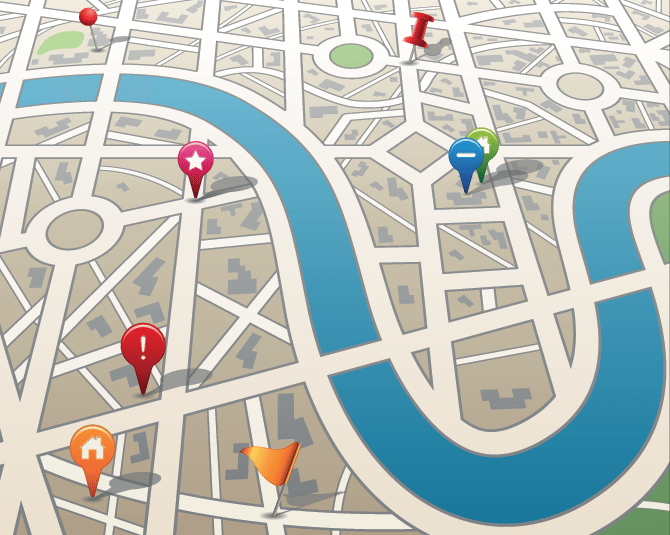 The site aggregates crimes near an address and weights them by severity and distance. Then it calculates a per capita crime rate for the address by factoring in the population of residents and workers nearby, and assigns a letter grade by comparing that rate to the citywide crime rate. Some housing observers have argued that stitching crime ratings into listings and neighborhood pages could potentially reduce demand for some already-distressed neighborhoods, leaving their residents worse off. On its own website, Walk Score provides only rental listings. 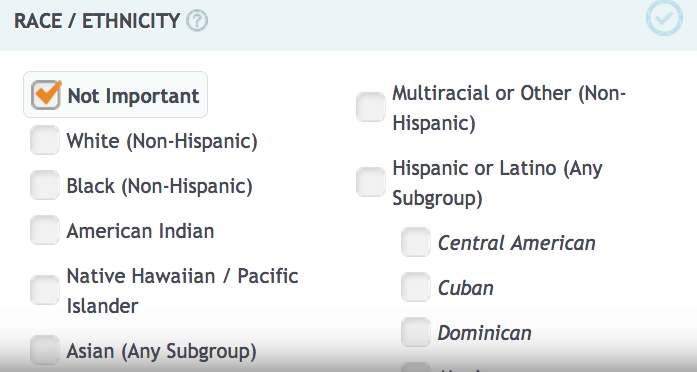 NeighborhoodScout unveiled an advanced search tool earlier this year that lets consumers search for neighborhoods based on crime rates, ethnic makeup, education level and unemployment rate, among many other factors.